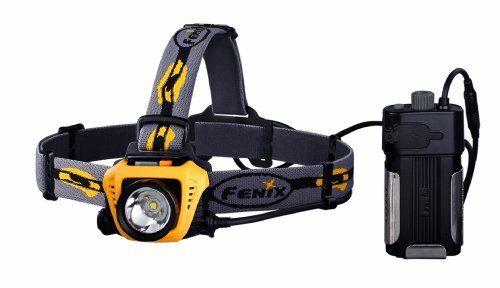 Head-mounted flashlights (or headlamps) are probably the category that has gained most in popularity over the past few years. 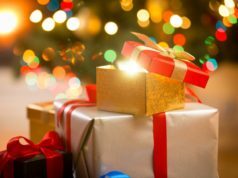 As LEDs have become more prevalent, and brighter, smaller lights are more available, manufacturers have seized on the opportunity to open up a whole new product sector. As you’d expect, head-mounted flashlights leave the hands free for performing other tasks. They are designed to be worn on the head and often have separate lamp and battery components, spreading the weight around the headset. Of course, head-mounted flashlights are not an entirely novel idea, even if the modern implementation has taken them to a new level of sophistication. The concept probably began with candles, however, problems with exposed flames and hot dripping wax meant that an alternative was needed. Thomas Edison developed electric cap lamps for miners in 1914. By 1915, they were approved by the United States Bureau of Mines for safe use in coal mines. The headlamps consisted of a reflector and an incandescent lamp as well as a separate belt-mounted wet-cell storage battery. 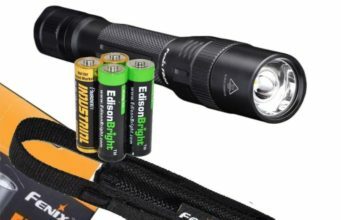 Nowadays, head-mounted flashlights are usually powered by AA or AAA batteries. They are strapped to the head or helmet with an elasticized strap. Lighter headlamps are strapped using a single band; however, heavier lamps often have an additional band that goes over the head. This prevents the headlamp from slipping forward or backward. Most headlamps now use LED bulbs as they are smaller, have lower power consumption and are more durable than an incandescent bulb. Some headlamps use a combination of LEDs and halogen lamps giving the user a choice in what lamp to use for various tasks. The advantages of head-mounted flashlights are that they illuminate whatever direction you look while also allowing your hands to remain free for other tasks. There are some disadvantages of a head-mounted flashlight, however. 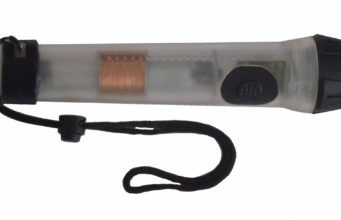 The strap can be uncomfortable and the weight of the flashlight can be problematic, especially the longer it is in use. These are things that have to be taken into consideration when buying a head-mounted flashlight. Because it’s meant to be worn, a headlamp is somewhat more of a personal choice than other flashlights, but reading through a variety of user reviews will give you a good feeling for what a range of people think. 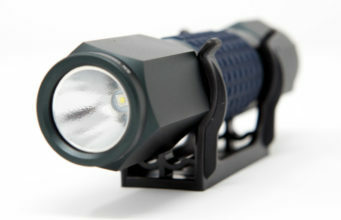 The best head-mounted flashlights can be useful for miners, hunters, runners, cavers, hikers, mechanics or campers. For anyone, indeed, who needs to shine a light hands-free. They’re a specialist category, but one that’s growing in popularity. In terms of bang for your buck, the Lighting Ever LED Headlamp is a sure-fire winner. It’s remarkably good value for money (commonly available for less than $10!) 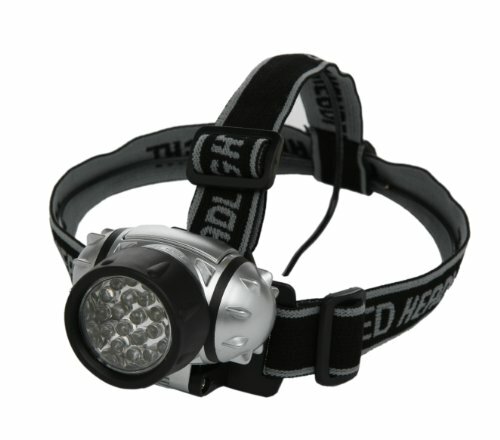 and is a great basic-level headlamp, suitable for runners, hikers, etc. It features 18 LEDs, with different power settings to allow different numbers of the bulbs to be lit up, as required. You can choose between two LEDs, 10 or the full 18 for maximum power. There’s also a red LED setting – which turns on two red bulbs in a flashing pattern. It would have been useful if the red bulbs could be turned on continuously, to allow users to read in the dark without spoiling their night vision, but unfortunately that’s not an option. 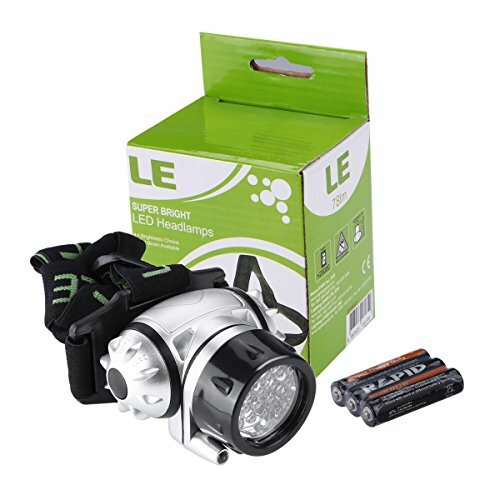 The headlamp is powered by three AAA batteries and weighs in at four ounces. The build quality is fine for the price and the fit is quite comfortable. If you’re looking for the ultimate head-mounted flashlight, this isn’t it. But if you’re looking for a bargain, entry-level headlamp, look no further. Amazon buyer rating: 4.2 out of 5. A step-up in terms of build quality (and price!) from the Lighting Ever headlamp is the Mountain Made Challenger, another three AAA-powered flashlight that boasts a 145 lumen output. Remarkably, the Challenger will run for 40 hours at its highest output level, and 190 hours at the lowest setting. There’s also a strobe, as well as a high beam and two flood settings with multiple brightness levels. An IPX6 water resistance rating rounds off the specs, and the Challenger comes with a useful carrying pouch and a carabiner clip so that you can attach it to your belt or backpack. An excellent, well-built headlamp – thoroughly recommended. Amazon buyer rating: 4.6 out of 5. If it’s power you’re after, the 900-lumen output of the Fenix HP30 should do the trick nicely, though your neighbors may not thank you for the bright light waking them up. Naturally, there’s a price to pay (apart from financially) for such high output, and it comes in the form of a belt-mounted battery pack, meaning the headlamp isn’t as convenient to use as other models. This reduces the weight of the headlamp itself, of course, and some people find a separate battery pack more comfortable. It all comes down to personal preference. The HP30 can use either two 18650 batteries or four CR123As. 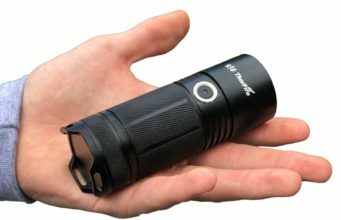 This power can be channeled via USB to charge a cell phone or other device, and the unit is rated IPX6 water resistant to 1 metre for 30 minutes. There are six output levels: Turbo blast (900 lumens), High (500 lumens), Medium (200 lumens), Low (65 lumens), Eco (4 lumens), and SOS.